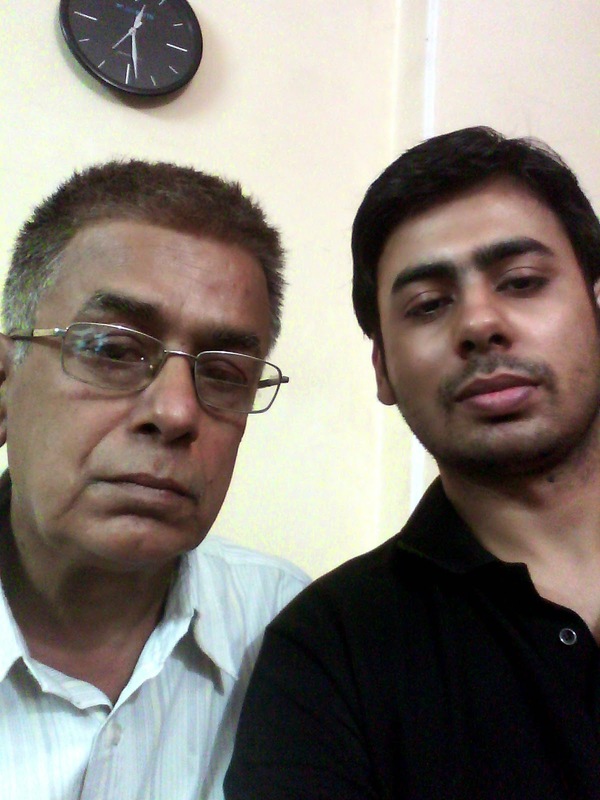 I would like to start this post by a poem written by me for my father. 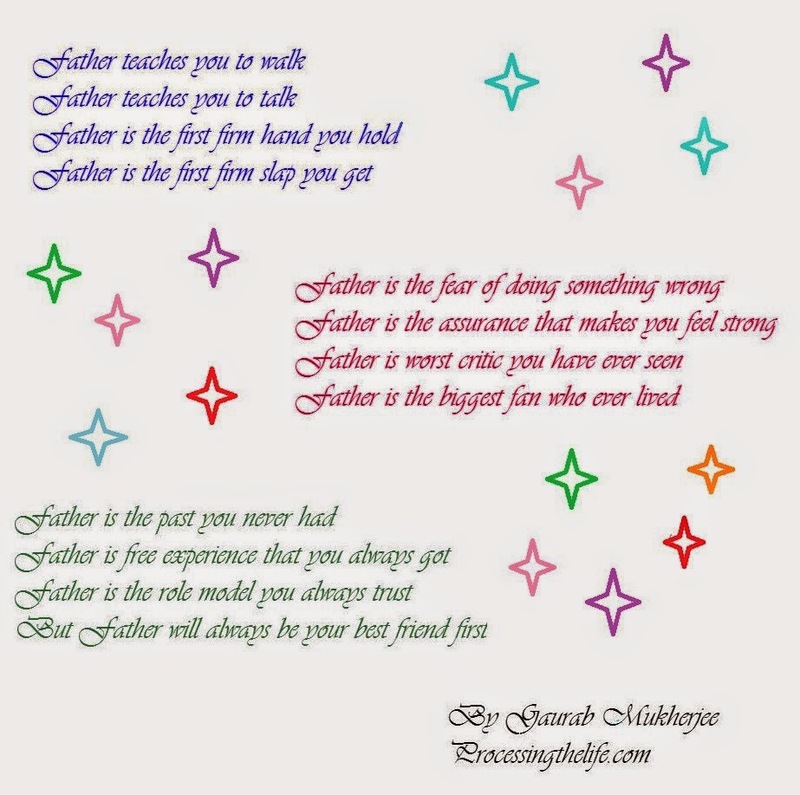 This poem is my tribute to my father. My school used to reward students who would be regular in their class. I was very serious about it, my parents always encouraged me to go that extra mile. I was in class 5 when one day I woke up and heard that there is a protest going on in the city and no vehicle can ply on the roads. I tried to confirm with my school that have they announced a holiday but they said the school will remain open and the classes will take place even of one student comes to class. I told my father about this. He said "if the school is open then you must go, so get ready, I will drop you there". Without wasting any time he started his scooter which was the most popular mode of travel that time and we started our journey. After covering few miles, we noticed that the road was blocked. My father asked the protesters to let us go as I was having my school. They politely replied that if they allow us to go then everyone will come to them with excuses and the whole protest will fall apart. My father dropped his vehicle at one his friends house which was near to the place where the protest was going on and started walking. I asked him, why did we dropped the vehicle there ? He replied "they will not allow the vehicle to pass but we can walk through the protest." I was surprised to listen what he was saying. My school was still 7-8 kms and the heat was already wearing me down. I didn't question him and just followed his lead. We crossed the protest and kept on walking. After sometime both of us were not feeling that well. My father suffers from bronchitis and he started coughing. I asked him if he wants to rest then both of us could stop. This protest is a natural problem and is same for everyone, there is no need to exert ourself so much. People will understand. He stopped and replied, "it doesn't matter who will understand your problem but one thing will be clear that you didn't gave 100% to the task in your hand. You will always have this guilt that you didn't deserve this award as you skipped one day because everyone else also skipped it. If we fail, we fail but we will give it our best shot." We again started walking and he kept on coughing throughout the journey but it never stopped him from putting his foot forward. We reached our school, there was hardly anyone in the school but as he said it doesn't matter. The teachers were present and they really praised me for my persistence and interest to attend the school but in my heart I knew all that these words of praise were for my father. At that time I didn't noticed but later realized that he also went back walking the entire stretch. For me he is the man of inner steel. Who didn't brake in front of adversity and motivated me to fight against all odds. He exemplified the hard work and "will" that is needed to succeed in life. I remember a time when the government stopped the salary of the university professors because of their protests. Though he wasn't the part of the protest he showed solidarity by supporting other professors on their agitation. Nobody was receiving any money for months when suddenly a person from the government came to iur house and told my father that since he and some of the other professors who weren't part of the protest will be given full salaries if they just sign the paper saying that not all professors were in support of the protest. Financially we were in a tough spot, he was given a week to reply. He discussed this proposal with us and asked us what we think about this ? All of us were silent. We just waited for him to speak. Then he spoke in a heavy voice, we could feel the pain in his voice. He said "I won't sign on that paper as it will make the protest of his colleagues look really weak." For a working class person who manages his everything with the salary he earns, it was a tough decision to make as he wasn't salary for months. They kept asking him to sign but he never signed it, though some other professors went ahead and signed the document but he stood his ground like a man of inner steel. He said those people who took the salary were not strong from inside and he never talked ill about them. I think being righteous and not compromising with his morals is what sets him apart from rest of the people. He is widely respected and loved by his students and colleagues. I think the morals and determination which he has are the actually the "inner steel" qualities which makes him a role model just not for his children but for the thousands of students he has taught in his lifetime who still remember him by sending him cards and come to meet him whenever they get a chance. just loved reading it !! !